The Marine Accident Investigation Branch (MAIB) Safety Digest shares lessons learned following analyses of accidents involving vessels from the merchant, fishing and recreational sectors. Volume two of 2016 shares three lessons learned from recreational craft accident reports. 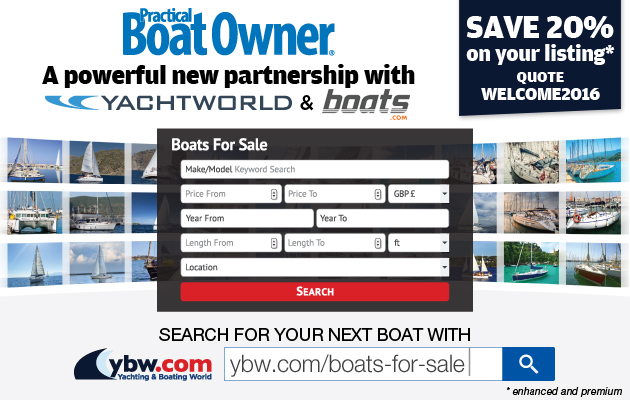 Duncan Wells, who is an RYA instructor, Principal of Westview Sailing, author of Stress-Free Sailing and the soon-to-be published Stress-Free Motorboating, creator of MOB Lifesavers and writes for yachting magazines, introduces the recreational craft section. Duncan writes: ‘There are always lessons to be learned from the MAIB reports. And one lesson that I pick up from them is that time spent in preparation will pay dividends. Or rather if we prepare properly we reduce the chance of anything untoward happening. ‘Certainly when things go wrong for me it is when I haven’t prepared properly. ‘And part of preparation is checking. Checking everything. ‘The key of course is to remember to service one’s lifejacket every year. That way it is likely to deploy correctly if we ever need it. Look after your safety equipment and it will look after you, is what I say. ‘You see, a lifejacket is very important to me. I tried breathing under water, once, and it didn’t work. Added to which I am of a certain age and I have lived very well and there is every chance that some organ vital to life or thought, may go on the blink for a moment and I might find myself in the drink. I will need the support of a lifejacket if I am unconscious. ‘Then there is the question of retrieving the man back onboard – me possibly – do we have a plan? ‘I have spent a great deal of time working out how to get an incapacitated man back on board a yacht, a motorboat, a barge and I have an answer. ‘There are many answers of course and each boat will present us with a different set of obstacles to overcome when retrieving a man. Have you worked out a strategy for how you would do it on your boat? Have you prepared? ‘By the way we should not be lulled into a false sense of security by the fact that we are wearing a lifejacket or a lifeline, we need to be aware of what the boat is doing. A lifejacket is no substitute for hanging on, tight. Well, I don’t need to tell you that, you know that. A 12-metre yacht with a crew of four flooded and then capsized in adverse weather while on ocean passage. An alert transmitted from the skipper’s personal locator beacon triggered a major search for the yacht, the upturned hull of which was eventually located with its keel detached and its liferaft still on board. With no persons found, the search was terminated.The yacht was not recovered. The causes of the accident remain a matter of some speculation. However, it was concluded that the yacht had capsized and inverted following a detachment of its keel. 1. A possible cause of the keel detachment was a weakening of the yacht’s structure where the keel was attached to the hull, through a combined effect of previous groundings and subsequent repairs. Detachment of a hull from its inner lining, which may not be visually apparent, is possible in yachts where a GRP hull and lining are bonded together. There is therefore a need for regular and routine structural inspection by a suitably competent person, particularly with longer and harder yacht usage, following any grounding, and prior to embarking on an ocean passage. 2. An ocean passage requires comprehensive risk assessment and contingency planning. A compromise needs to be made between planning a route to pick up favourable winds for a speedier passage, and a route to avoid particularly adverse weather at the expense of a slower passage requiring additional port calls. Weather routing, vessel tracking and frequent communications from a shore-based support cell can significantly reduce the risks. 3. Operators and crews need to be aware of the danger of keel detachment, and have preventive measures in place to reduce the risk. Such measures should include regular inspection of the keel attachment area and checking of keel bolts, and practised documented actions to take in the event of flooding, including reducing the load on the keel and preparing for the yacht capsizing and inverting. 4. Search and rescue (SAR) mid-ocean is hampered both by the time it takes fixed-wing search aircraft to arrive and their ability to assist when on scene. Consideration therefore needs to be given as to how the alarm will be raised, both by the quickest means and with an accurate position. The wearing of a PLB provides additional assurance that the alarm can be raised if it has not been possible to deploy a yacht’s EPIRB. 5.In view of the time that is likely to pass before SAR assets arrive on scene, an ability to board a liferaft will be key to survival. In small craft, a compromise needs to be made between positioning a liferaft so that it can deploy automatically in the event of an emergency, and the risk of it deploying accidentally in heavy weather. As demonstrated in this accident, a further consideration should be to ensure its availability in the event of a sudden capsize. A 5m speedboat was launched at a public slipway with the intention of taking a short trip in the bay. The experienced speedboat driver had three children with him. The weather was overcast and the wind was forecast to be force 4-5 with 1m high significant waves, but at the time of launching there were no white horses visible outside the harbour. The four occupants were wearing wetsuits and buoyancy aids. The speedboat was motored slowly out of the harbour and was travelling in convoy with two jet skis. Once clear of the harbour, all three craft increased speed, the driver of the speedboat applying almost full throttle to get the boat up onto the plane. Shortly afterwards, the speedboat hit a large unexpected wave and the boat capsized, initially settling upside down. Three of the occupants managed to get clear, but the boat’s stern then sank under the weight of the outboard engine, leaving the bow protruding out of the water. It was apparent that one of the children was somehow caught on the boat under water. The jet ski riders, who had quickly arrived on scene, and the others in the water tried repeatedly to swim down and release the trapped child, but they were unsuccessful. 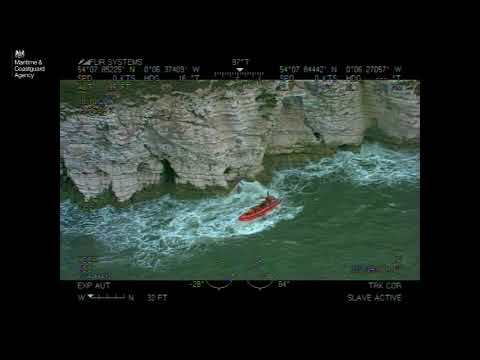 The emergency services were alerted by a member of the public and the local lifeboat was paged. Just as one of the jet ski riders arrived back ashore to raise the alarm, the lifeboat was launched. Once on scene, it lifted the speedboat by the bow, enabling the trapped child to be released. First-aid was commenced immediately, and the child was transferred quickly to a waiting ambulance ashore, but sadly never recovered consciousness. 1. One of the straps of the buoyancy aid worn by the casualty was found to have become caught on an aft mooring cleat of the speedboat (see figure). The buoyancy aid was too big for the child and this increased the risk of it becoming snagged. Buoyancy aids and lifejackets are important items of safety equipment, but they must be a close fit to ensure that they are able to function correctly and minimise an opportunity to become caught. 2. The speedboat was constructed prior to the introduction of the Recreational Craft Directive in 1996. Leisure craft since then have had to meet more stringent safety standards, one of which is that an open boat under 6m in length will remain afloat when swamped. This requirement would necessitate sealed buoyancy in the hull to support the weight of the outboard engine, preventing the boat sinking in the manner that occurred in this accident. When buying older or second-hand leisure craft, make sure you are aware of any shortcomings or seek professional advice if not. 3. It was fortunate that the accident occurred close to a harbour and was seen by somebody ashore so that the lifeboat could be alerted quickly. If a waterproof VHF radio had been carried by one of the party, it would have enabled the coastguard to be contacted immediately. It would also have made clarification of what had happened and how many persons were involved, easier. 4. Before going to sea, make sure you have properly assessed the weather, tides and likely sea conditions so that you can take the necessary precautions. Maritime forecasts are readily available on the internet and often, as was the case here, posted by slipways or on harbourmasters’ noticeboards. Beware of placing too much reliance on what the sea conditions look like from ashore as this can be deceptive. A family group comprising four adults and two children boarded a motor cruiser for a summer’s day on the river. Before setting off, the boat needed petrol, so it was moved to a fuelling pontoon where one of the adults put the fuelling nozzle into one of two flush deck fittings on the boat’s starboard side (Figure 1). After a few minutes of pumping, the adult, who had not been on the boat before, realised that he had been filling the wrong tank. About 75 litres of fuel was now in the waste water tank. A member of the marina staff who saw what had happened advised that the boat be moved to a nearby waste reception point where the waste tank could be emptied. He also suggested that the waste tank be filled with detergent and water. The marina staff ’s advice was ignored and the family group set off on their journey. The boat left the marina and motored along the river. The boat’s owner was at the helm, with the rest of the group either sitting or standing in the stern cockpit. As the boat’s speed was reduced on approaching a lock, both of its engines stalled. When the driver attempted to restart the engines there was a loud explosion, the force of which threw one of the adults into the water. Flames also engulfed the vessel’s stern, but these were quickly suppressed following the automatic operation of a fire extinguishing system in the engine bay. All bar one of the boat’s remaining occupants jumped into the water. The family group were taken to hospital, where they were treated for burns of varying degrees and broken bones. The motor cruiser was badly damaged beyond economical repair (Figure 2). The explosion was probably caused by petrol vapour from the waste tank that vented directly in to the engine bay (Figure 3) instead of outside of the boat. The vapour was sucked into the engines’ air intakes, causing the engines to stall. The vapour was then ignited by the activation of the electrical starter system when the driver tried to restart the engines. 1. Petrol is a volatile liquid that quickly evaporates in temperate conditions. Its vapour, when mixed with air, forms a highly explosive mixture that is easily ignited. If petrol is stowed anywhere other than in properly vented, purpose made tanks, or in approved containers, it is potentially a killer that can strike at any time. 2. On a boat, most people like to chip in and lend a hand. For 99% of the time this is helpful, and they can be left to their own devices. However, there are some tasks that require familiarity with a boat and its equipment. These should not be undertaken by others without thorough instruction and oversight. 3. It’s natural to look forward to a day on the water. However, if something is not as it should be, opting to err on the side of caution and taking time to sort things out might not be a popular decision, but it’s possibly the only sensible one. 4. Waste water tanks are designed to take only waste water. Nonetheless, the vapours produced can be unpleasant, or even toxic. Therefore, they should vent outboard, not into the engine bay or anywhere else inside a hull. 5. Hopefully, fixed fire extinguishing systems are never needed. When they are, they are lifesavers, so it’s always worth ensuring they are properly maintained so that they will work when you need them.